Sarah West completed the formal installation of the the Proclamation Collection, a collection of renderings in ink on paper commissioned by the City of Smiths Station for the Official Proclamation and Smiths Station Historic Commission commemorative documents. 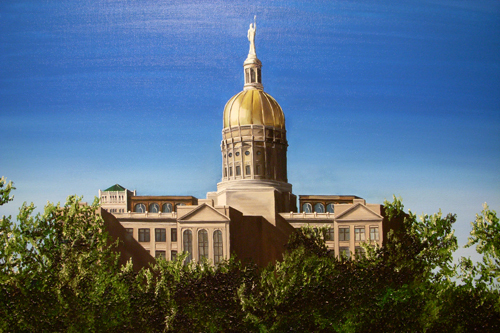 The Sarah West Gallery of Fine Art, A Center for Cultural Arts founders Sarah West & Michele West, as advocates for Cultural Arts Enrichment & Fine Art Education in Alabama Schools curated their debut exhibit at the Alabama State Capitol Historic Supreme Court Chamber in Montgomery Alabama. This debut exhibition was dedicated to children representing Lee County Schools through Art Installation at the State Capitol, during April – May 2019. 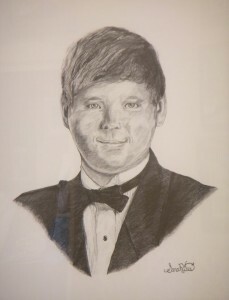 The exhibition was comprised of artwork created by children of West Smiths Station Elementary School relating the healing gift of art following the aftermath of tragedy- the deadly Lee County Storms of Sunday March 3rd, which claimed 23 lives in the neighboring community of Beauregard, with numerous homes lost across the county. 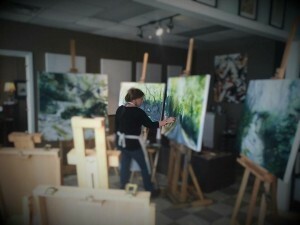 Following the aftermath of Lee County Storms March 3rd, 2019, founders of the Sarah West Gallery of Fine Art, A Center for Cultural Arts assembled a collective group of volunteers comprised of friends and studio students, whose adopted mission at the request of local educators became Taking the Healing Gift of Art to Schools, where they counseled 820+ students in addition to teaching faculty through art activities during their return to school following the tragedy. 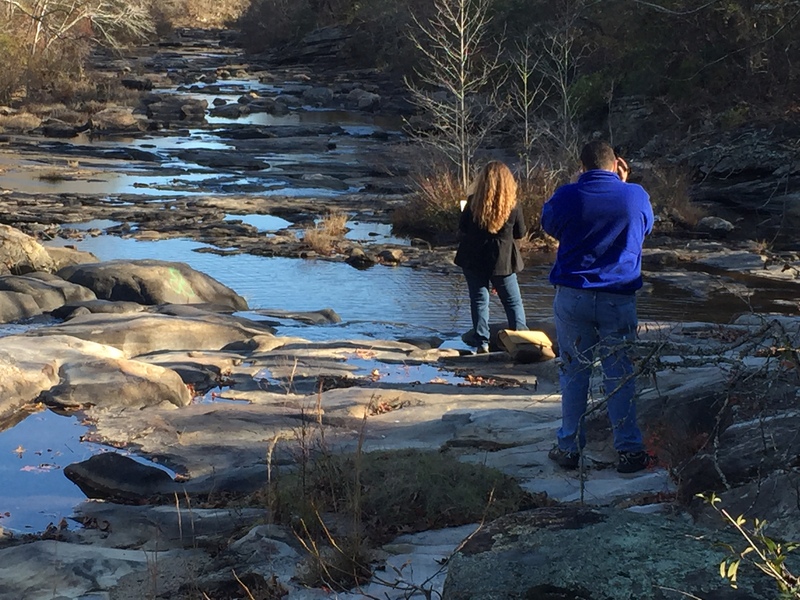 Sarah West’s column expanded to include the Opelika Observer. This marks the second publication to host Sarah’s written work addressing Cultural Arts through prose. 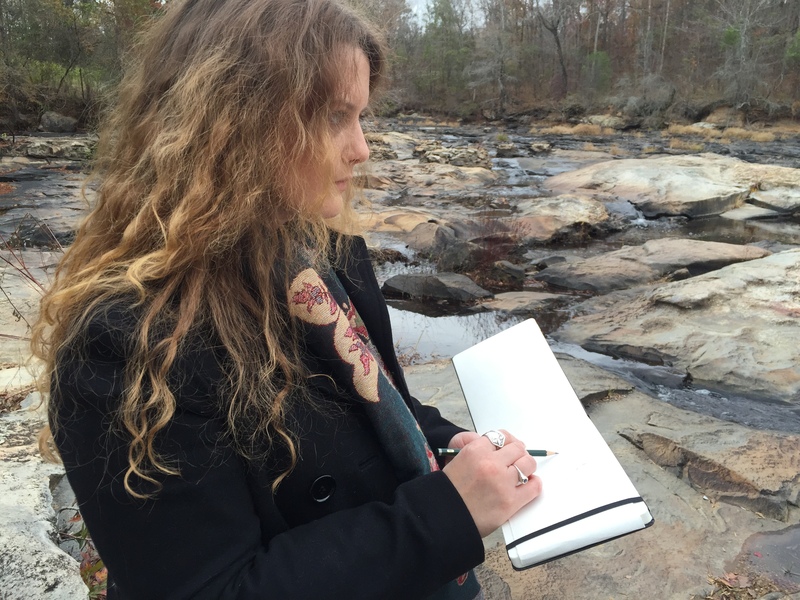 Since 2013, Sarah’s writing have appeared in the Citizen of East Alabama (Alabama’s largest weekly newspaper.) With the debut of her column published in the Opelika Observer, her column reaches more than 30,000 readers. 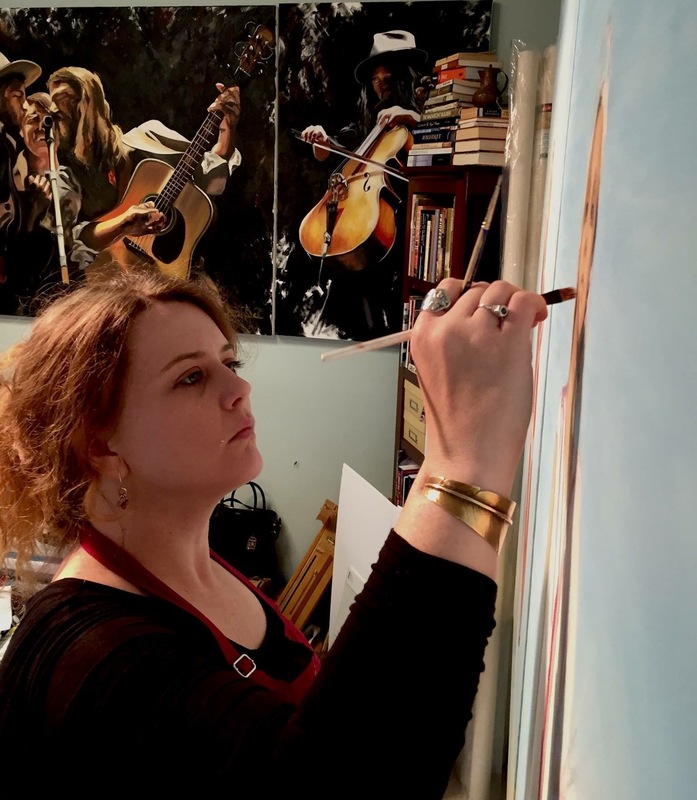 Sarah West was appointed by the City of Smiths Station to render a collection of symbolic artworks representing local history, industry, and other items relevant to regional history. 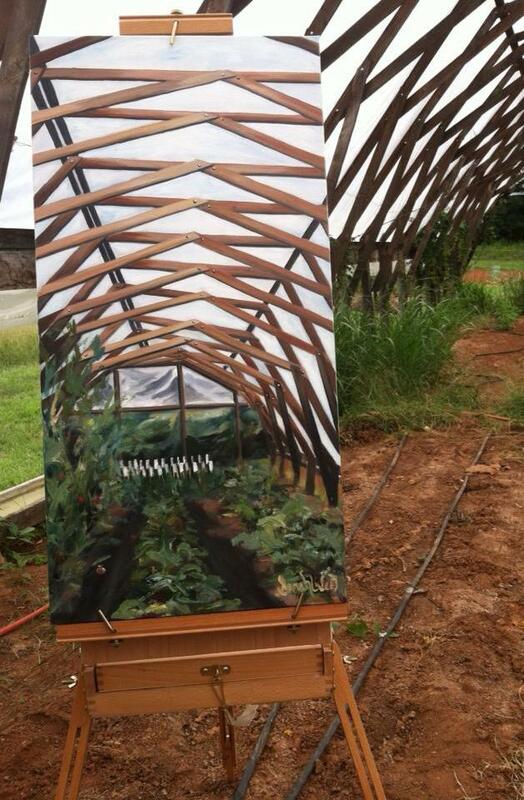 These became additions to the City of Smiths Station art collection and will be incorporated into documents of historic significance. 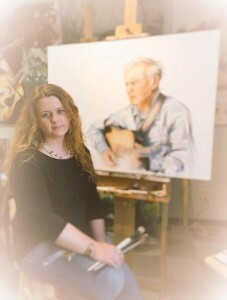 The Sarah West Gallery of Fine Art, A Center for Cultural Arts celebrated Ten Years, as Smiths Station, Alabama’s fine arts destination. 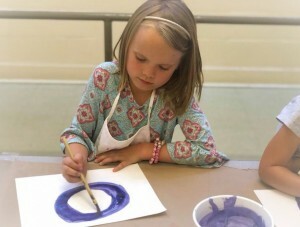 The Sarah West Gallery of Fine Art, A Center for Cultural Arts began it’s second school year, Taking Fine Art Education into local participating schools. 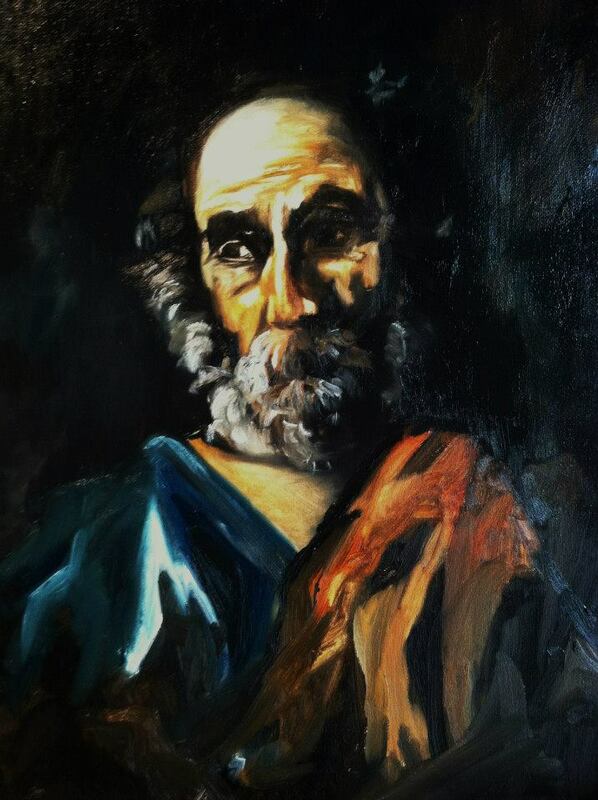 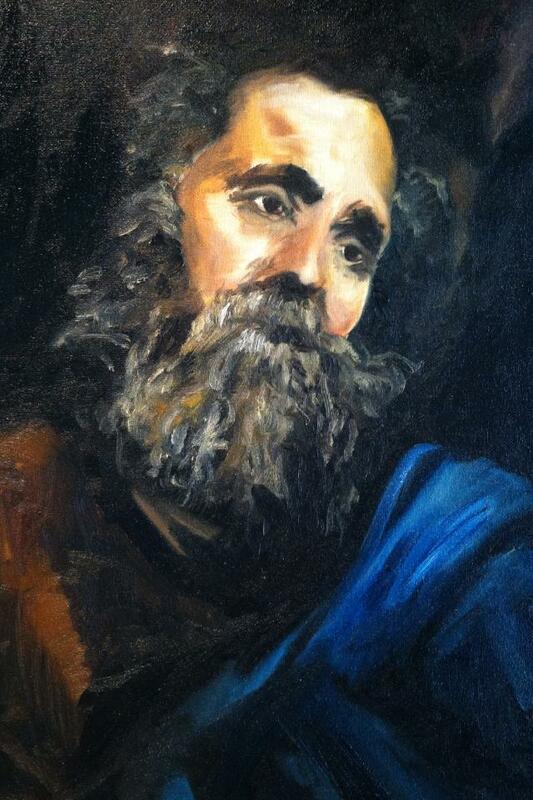 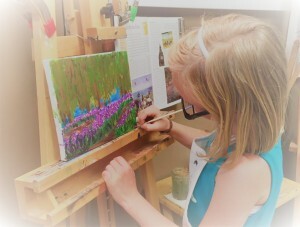 Through the Sarah West Artistic Mentoring Program, After School Fine Art Classes are made available at participating schools in Smiths Station and Salem, Alabama. 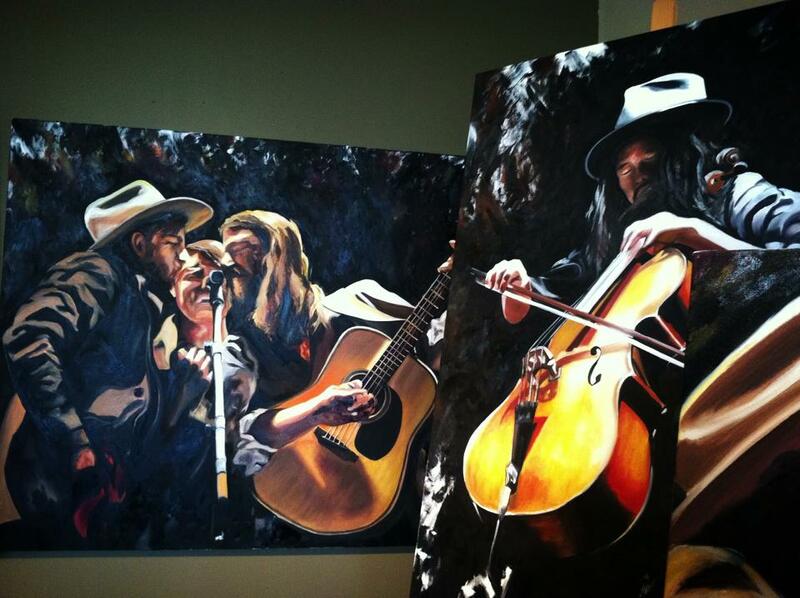 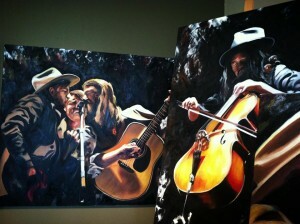 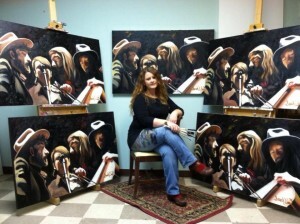 The City of Smiths Station appointed Sarah West, the Official Artist for the City of Smiths Station. 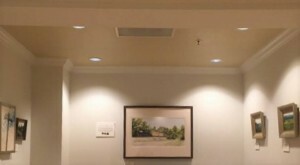 A Resolution was brought before Smiths Station City Council and approved on July 24th, 2018. 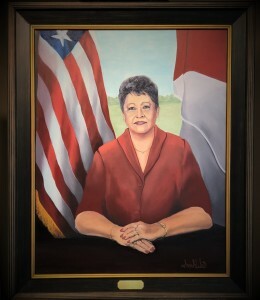 The City of Smiths Station established the City Hall Portrait Gallery, honoring first mayor, LaFaye Dellinger. The former mayor’s portrait was unveiled during a commemorative reception at Smiths Station City Hall July 24th, 2018. Sarah West and Michele West, founders of the Sarah West Gallery of Fine Art, A Center for Cultural Arts became founding members of the Smiths Station Historic Commission. 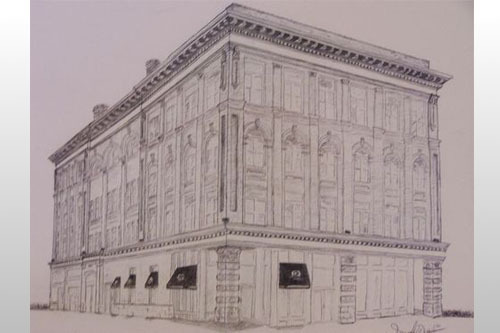 They were appointed to the Historic Commission Board and serve as members of the planning committee for the Historic Jones Store Museum, a Museum established to catalog, record, archive and exhibit area history. The Sarah West Gallery of Fine Art announced the return of Fine Art Classes to area schools during the 2018/2019 school year. 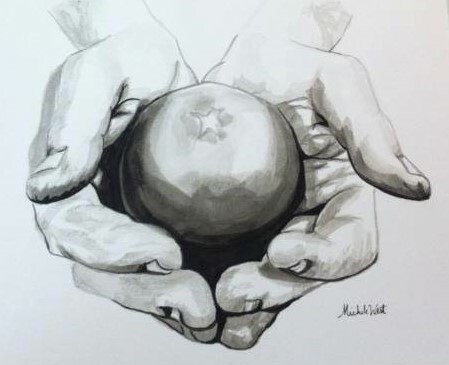 Through collaboration with area educators, the Sarah West Artistic Mentoring Program provides Fine Art Education and Cultural Involvements to participating schools in the rural community of Salem and the City of Smiths Station, Alabama. Sarah West and Michele West were appointed founding members of the board for the establishing the Smiths Station Historic Commission. The Smiths Station Historic Commission board members have been appointed to oversee the preservation and conservation of the Jones Store Museum in addition to preserving other historic landmarks. 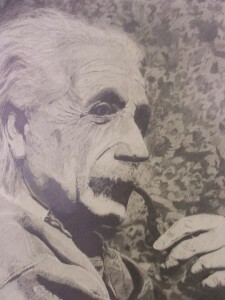 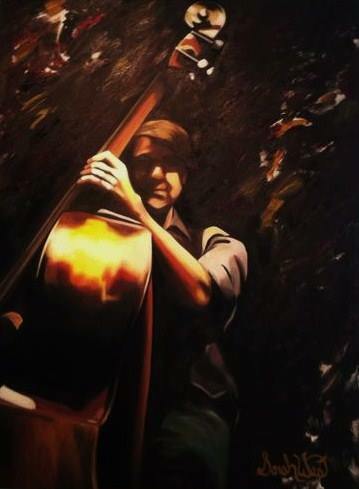 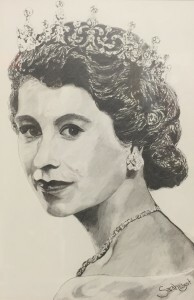 The City Hall Art Galleries, curated by the Sarah West Gallery of Fine Art hosted Portraits in Education: a seasonal rotating exhibit featuring selections from the sketchbooks of Michele West in portrait which captured the debut fine art classes held in local schools during the Spring of 2018. Corresponding with this event, Meditative Paintings & Fundamental Drawings established an exhibition opportunity for young artists 1st-6th grades to exhibit and share their art work with the community. The Sarah West Artistic Mentoring Program announced debut collaboration with local area schools, via the Sarah West Artistic Mentoring Program’s Extended Day After School Classes, providing local school age students with educational and cultural enriched classes at their local school. 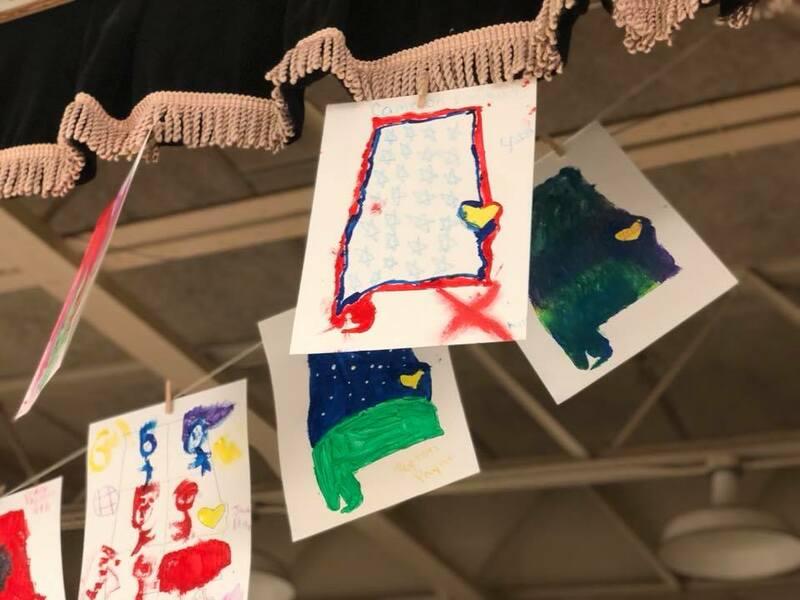 Spring Sessions opened March 2018 at Wacoochee Elementary School, Salem, Alabama and at West Smiths Station Elementary School in Smiths Station. 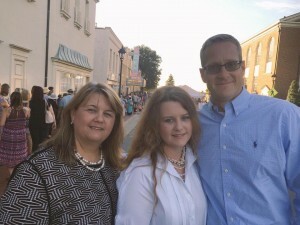 In January of 2018, Sarah West and Michele West presented the Mayor of Smiths Station with proposal to establish a Community Journal for posterity. 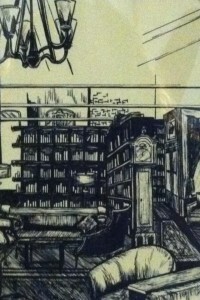 The Smiths Station Community Journal Volume I was introduced at the Sarah West Gallery of Fine Art. 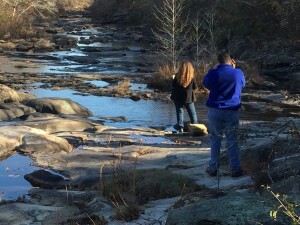 Community citizens, neighbors and friends of all ages are encouraged to record entries of local events and daily life. 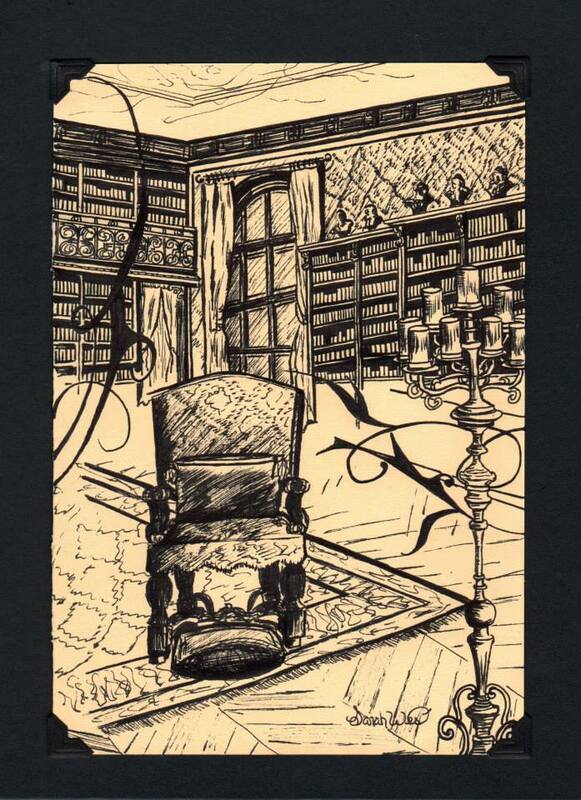 Each Volume will be archived for posterity. 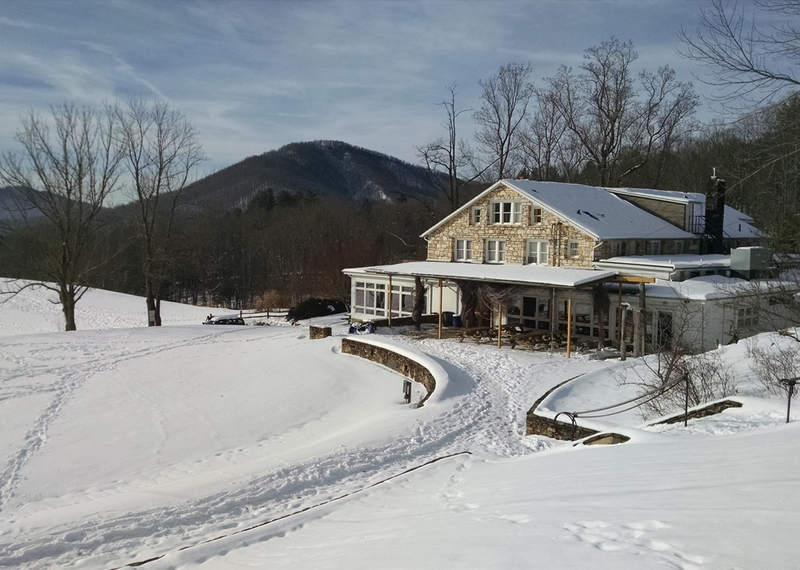 Sarah West & Michele West were accepted into Penland’s 4th Annual Winter Residency Program. 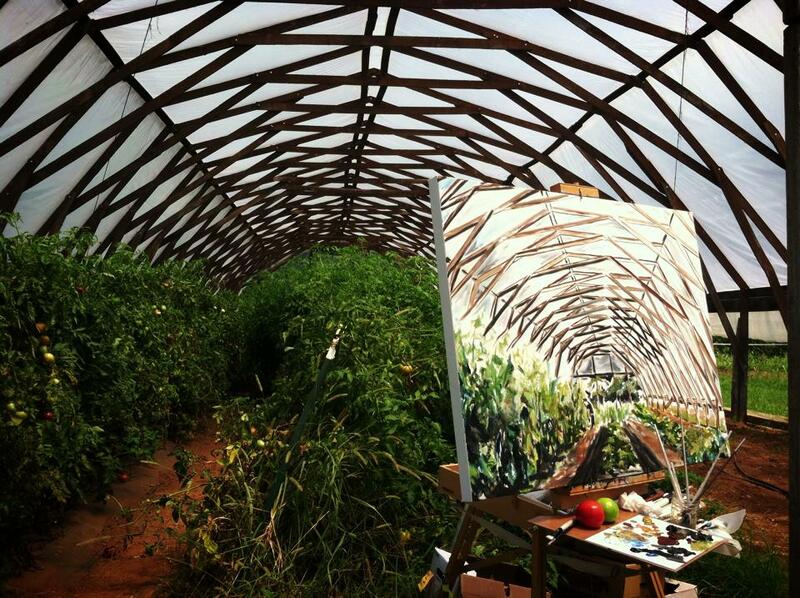 Both artists have been awarded Winter Residencies. 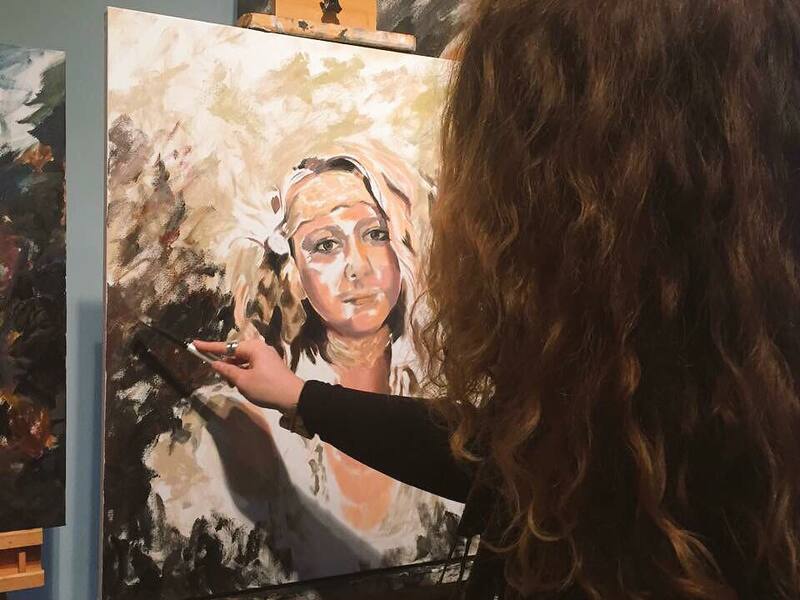 In Winter 2018, they devoted meditations to their respective fields of process and current projects. 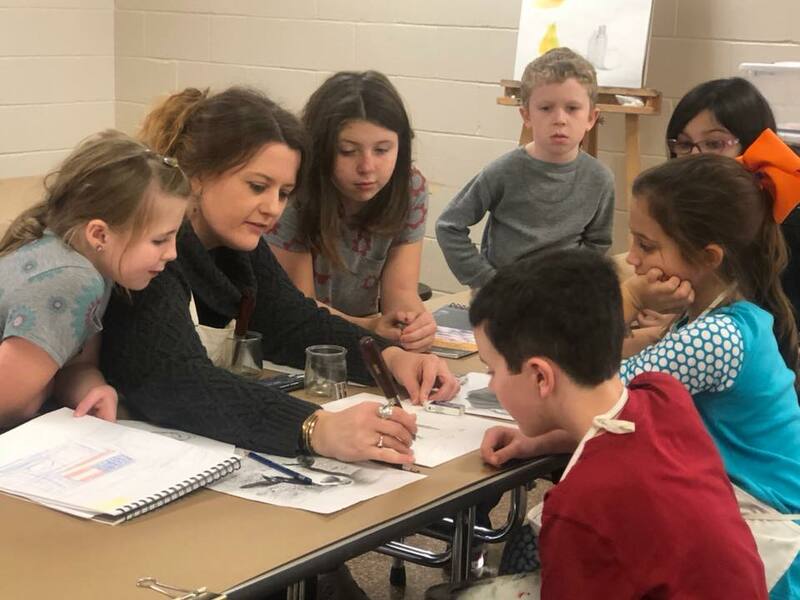 Sarah West & Michele West launched the Sarah West Artistic Mentoring Scholarship for Continued Fine Arts Education, made possible through the Sarah West Gallery of Fine Art’s Cultural Arts Enrichment Initiative Outreach collaboration with area schools. Through this program, area schools are afforded the opportunity to award Continued Fine Art Education Scholarships to a determined number of student-recipients each year. 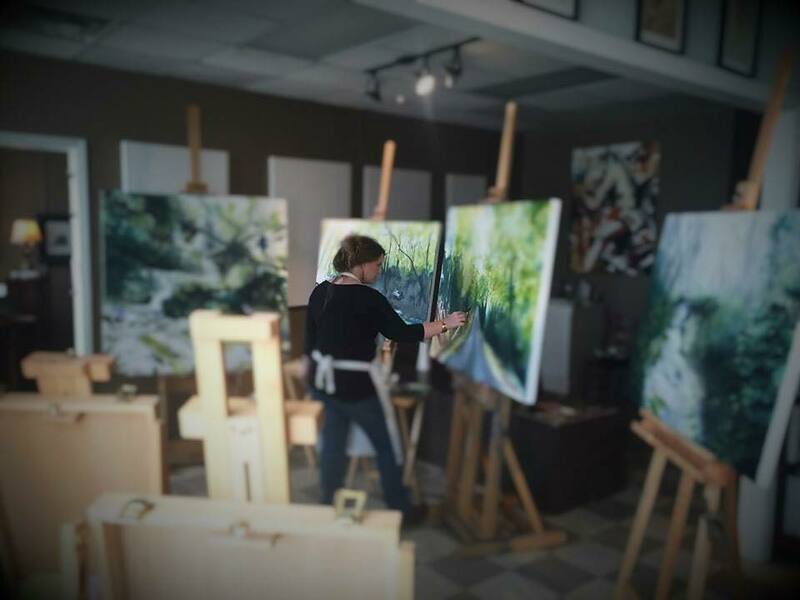 In collaboration with the City of Smiths Station, the Sarah West Gallery of Fine Art established the Smiths Station City Hall Art Galleries. 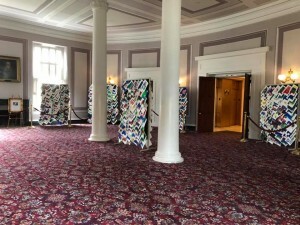 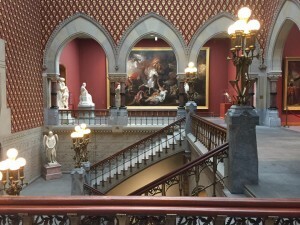 The City Hall Art Galleries debuted in May of 2017. In May of 2017, the Sarah West Gallery of Fine Art debuted the world premiere exhibition of selected writings from Jim Avett. 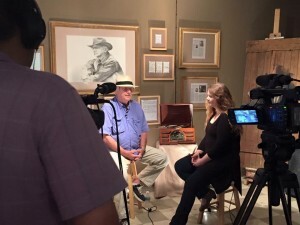 This Original Writings exhibition was made possible in part by the curatorial efforts of Sarah West in collaboration with the archives of Jim Avett. 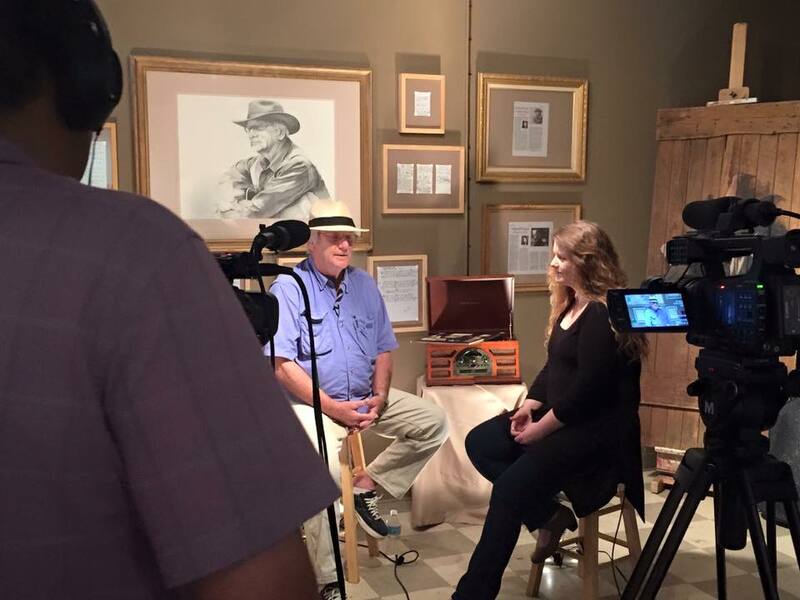 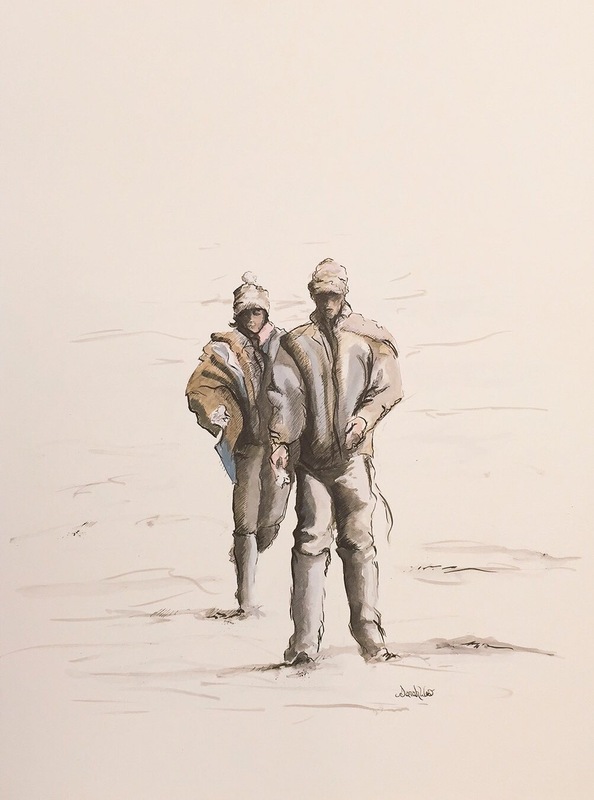 The premiere exhibition opened on May 12th, album release day for Ramseur Records, “For His Children and Ours.” Jim Avett also appeared as a featured artist on Art Walks with Sarah West, a fine arts docu-interview series. In Winter 2017, Art Walks with Sarah West, featured five art students. 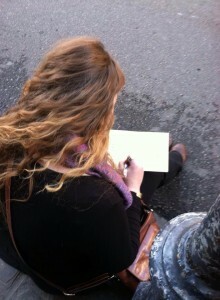 This Art Walks edition explored varying art student’s perspective on what art means to them. 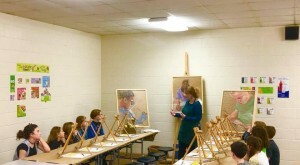 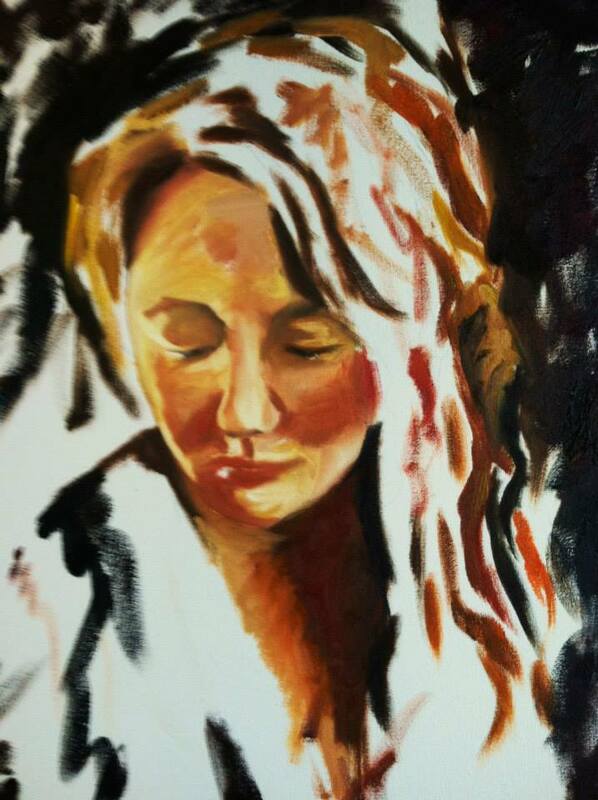 Sarah joined the Columbus Life Drawing Group. The Columbus Life Drawing Group is collective group of fellow professional art contemporaries including Garry Pound, Bo Bartlett and others, who frequently gather together to draw from life model. 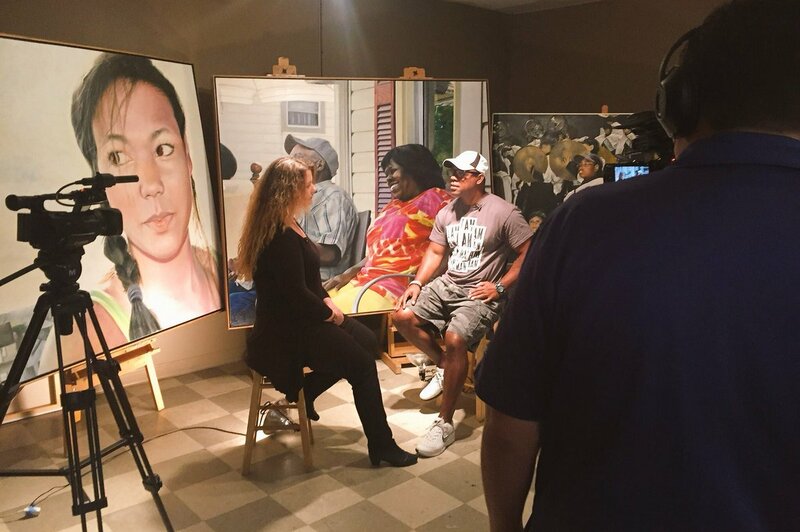 Through partnership with CTV BEAM productions the Sarah West Gallery of Fine Art launched, Art Walks, a cultural arts initiative television program with host, Sarah West. 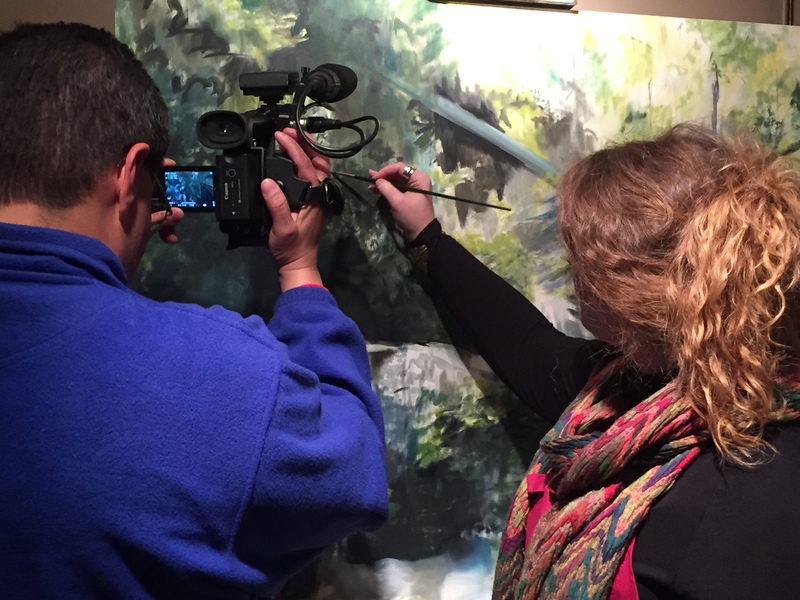 Art Walks is also available via YouTube. 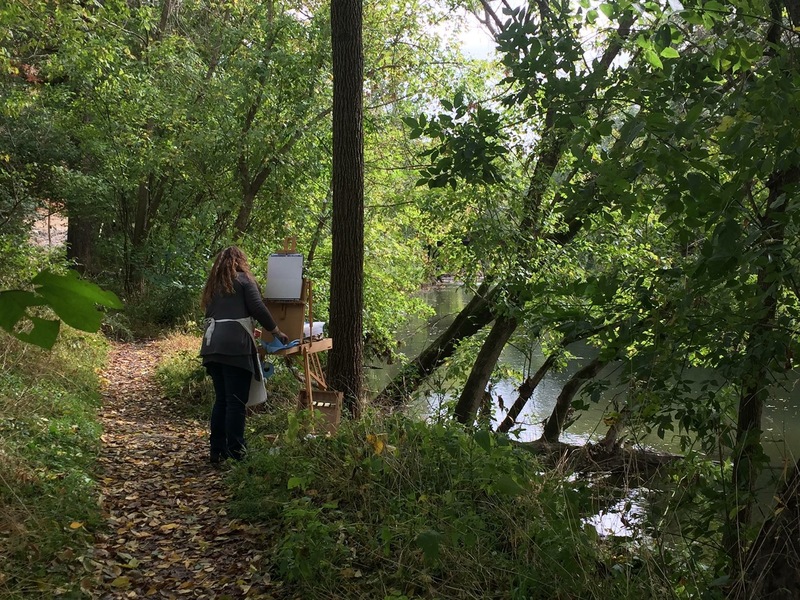 Art Walks pilot episode, Studio & Sanctuary, introduced Sarah West and explored her process and prose where Art meets Activism. 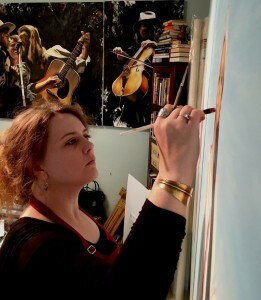 Sarah became member of the Pennsylvania Academy of Fine Arts. 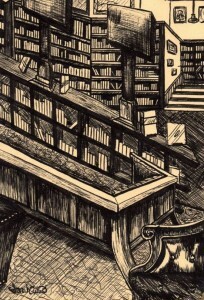 She continues to the study with the Academy. 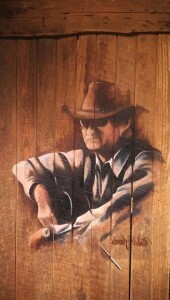 In July 2015, Sarah exhibited her portrait of Doc Watson at the Doc & Merle Watson Folk Art Museum, Sugar Grove, NC. 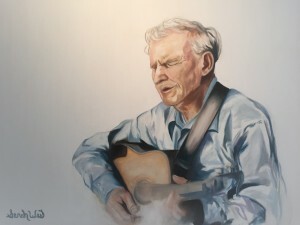 MusicFest at Sugar Grove hosts an annual Folk Music Bluegrass Festival, and during the festivities the Museum serves as an interpretive center featuring galleries which exhibits permanent collections of art, artifacts and memorabilia honoring the life and work of the late Folk Music Legend, Doc Watson. 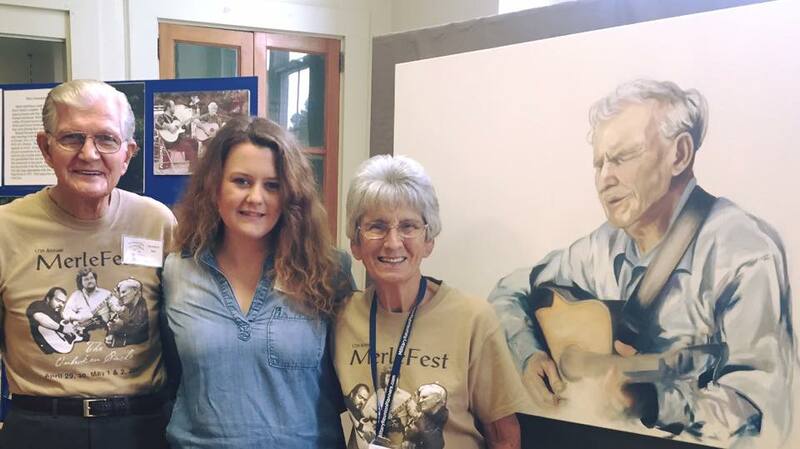 MusicFest in Sugar Grove, in collaboration with the museum was established in close affiliation with Doc Watson in support of the Doc & Rosa Lee Watson Scholarship, awarded to Appalachian State Alumni for there sustainability endeavors, projects and furtherance of research. 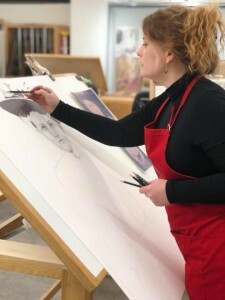 In support of the Doc & Rosa Lee Watson Appalachian State Scholarship Award, Sarah established a Silent Auction to stimulate additional funding. 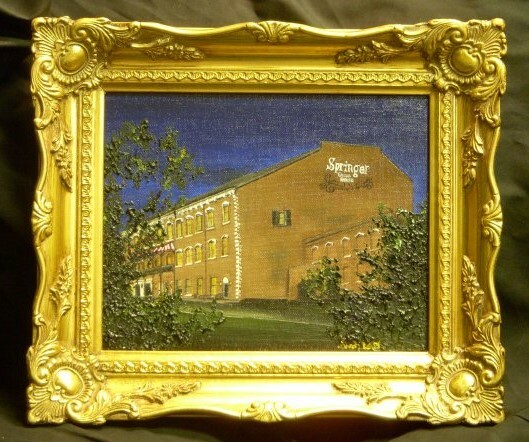 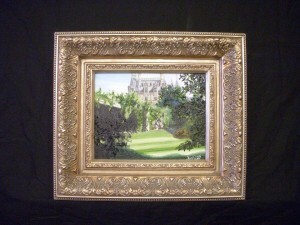 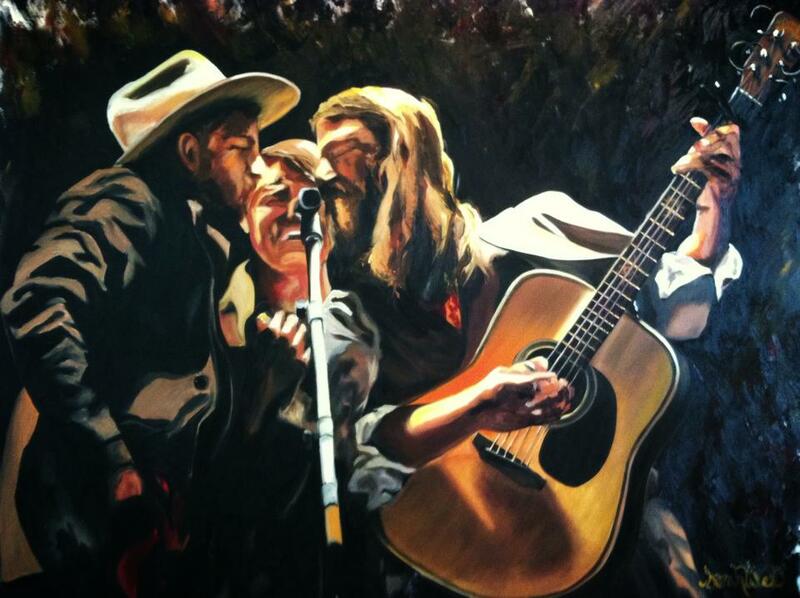 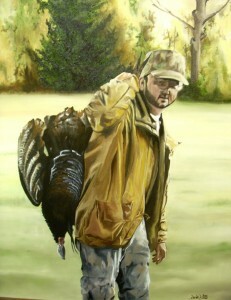 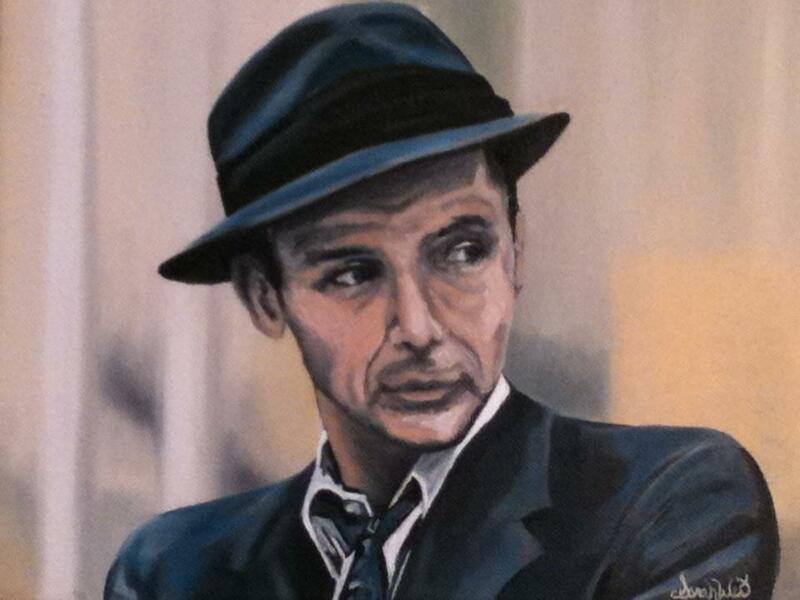 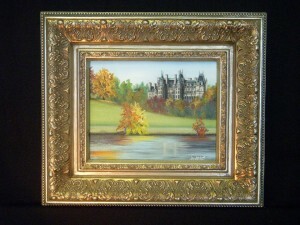 This Silent Auction was held at the Doc & Merle Watson Folk Art Museum in July of the same year. Sarah West & Michele West established the The Sarah West Gallery of Fine Art’s Cultural Arts Enrichment Program, an initiative that continues to provide the area and region with Cultural Arts Enriched involvements throughout each year. Most events bring nationally acclaimed singer/ songwriters, musicians, visual artists, writers and more…to the east-central Alabama region. 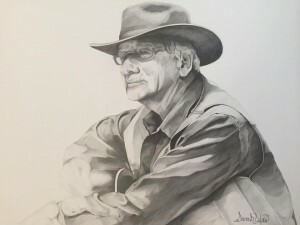 In October of 2015, Sarah debuted “Jim Avett,” the only formal portrait to be publicly exhibited featuring the storyteller, musician, recording artist. Archival, Limited Edition Commemorative Prints were released honoring the occasion. 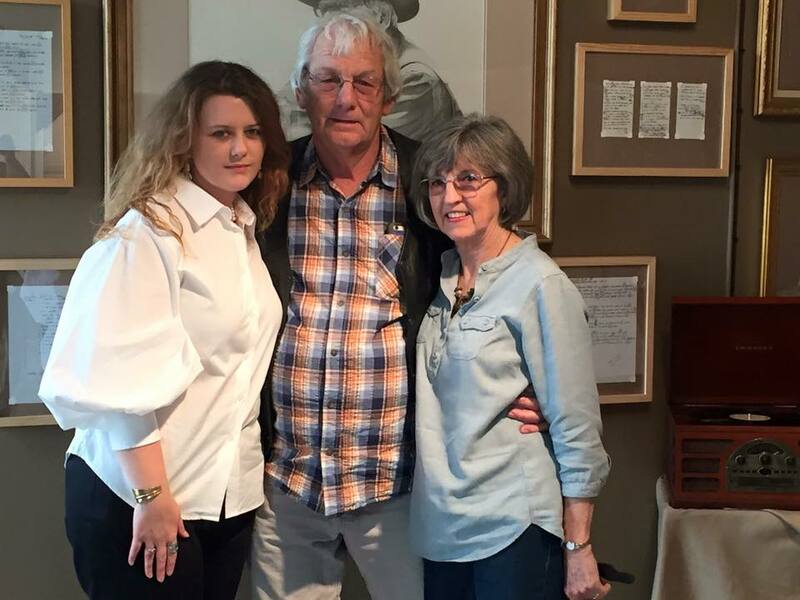 Both Sarah West & Jim Avett hosted a print signing at the Sarah West Gallery of Fine Art on October 8th. 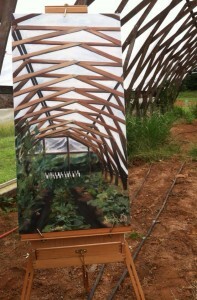 Sarah West & Michele West, along with the Sarah West Gallery of Fine Art joined with Barnraiser, the Avett Brothers, Chef Vivian Howard, Carolina Farm Stewardship Association along with additional volunteers and event organizers to save and secure funding for the Elma C. Lomax Incubator Farm, Cabarrus County- Concord, NC. 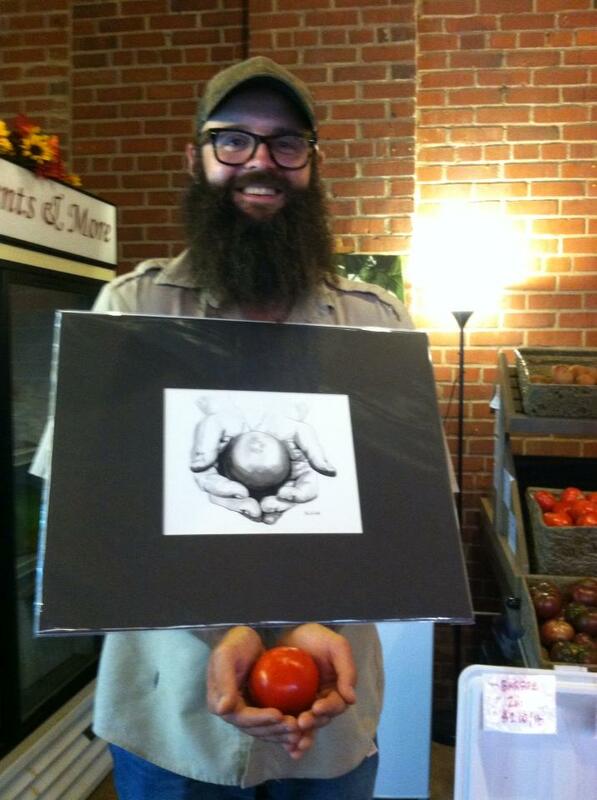 This charitable endeavor in support of the Farm to Table Movement generated national attention and support. 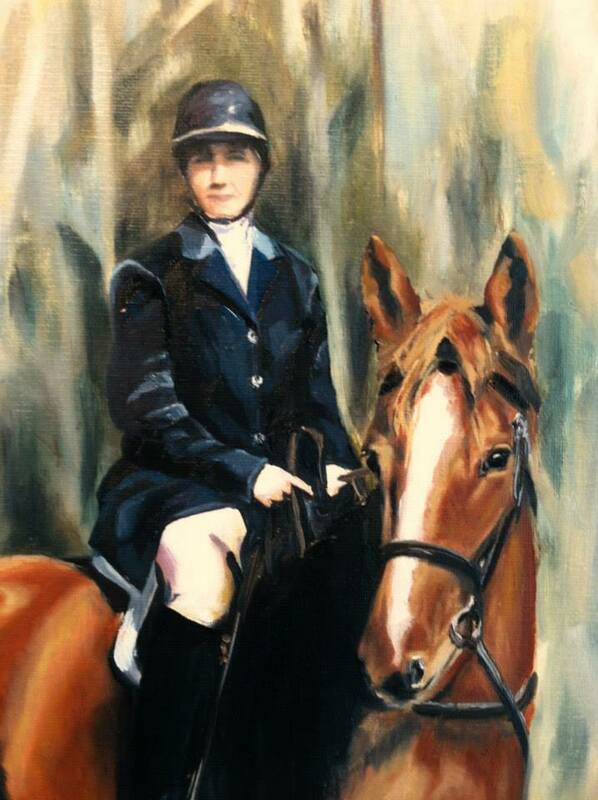 Sarah West & Michele West campaigned for the cause and contributed over 10 original paintings, along with many fine art prints. 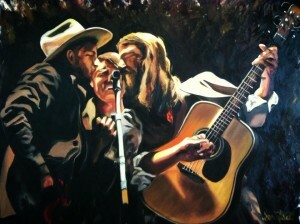 Collectively over $50,000 was raised through the Barnraiser campaign. 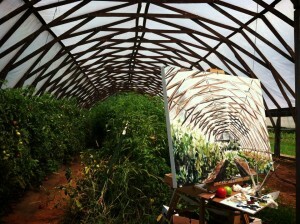 The Farm was saved and continues to education farmers today. 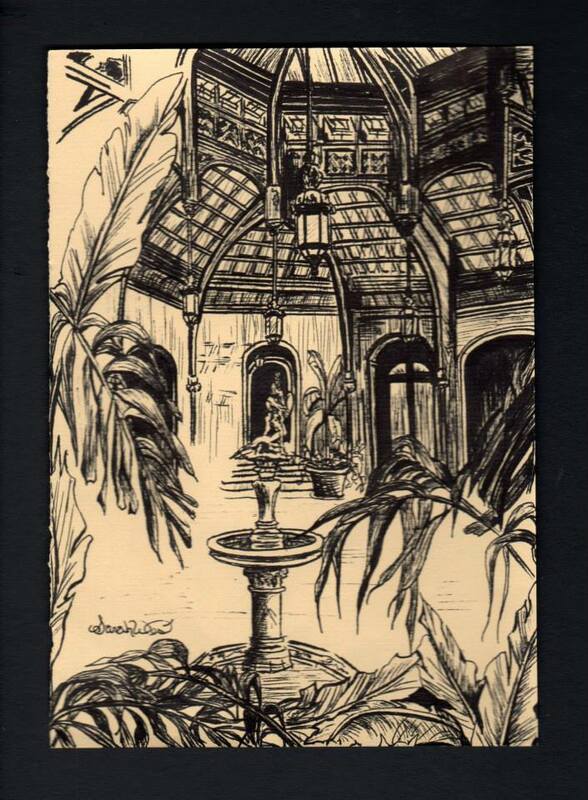 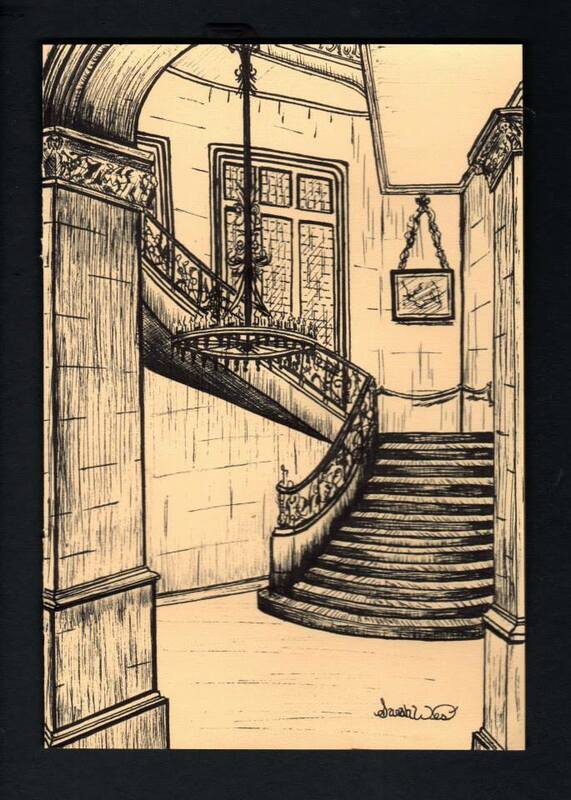 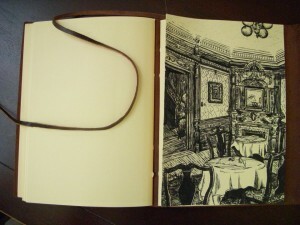 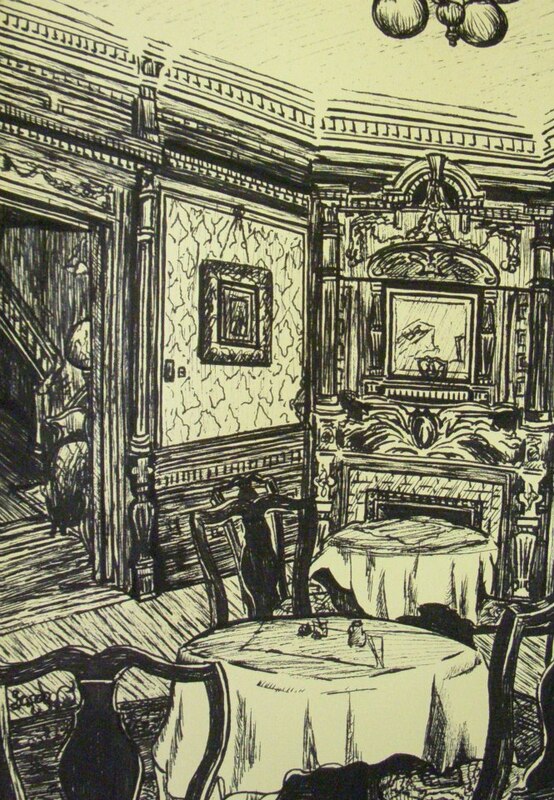 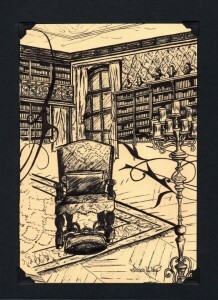 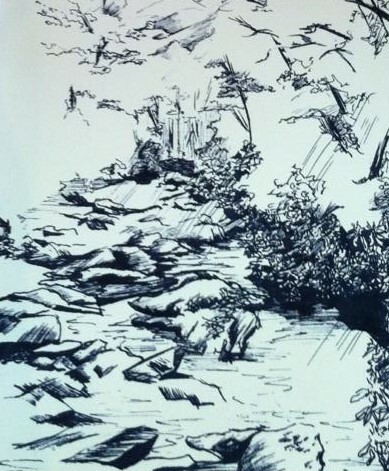 In 2014, Sarah was commissioned to render traditional illustrations in pen and ink in the style of etchings, for the historic Cedar Crest Victorian Inn, Asheville, NC. Her work continues to serve as the official logo for the Inn. 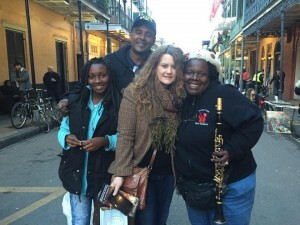 In 2013, Sarah received invitation to join the Citizen of East Alabama as contributing columnist. 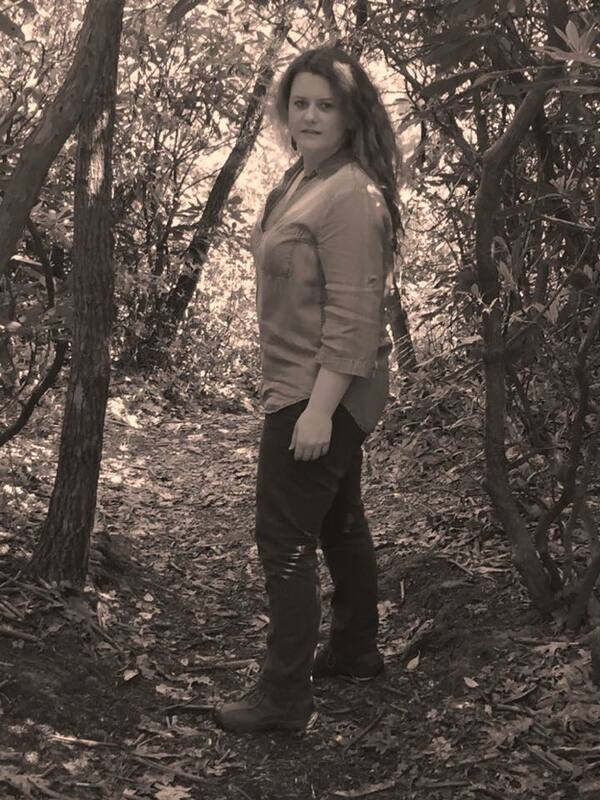 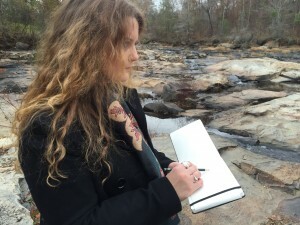 Since 2013, over 250 written works of Sarah’s aesthetic sketch and prose have been published in Alabama’s largest weekly distributed newspaper. Sarah continues her support of the F Scott. 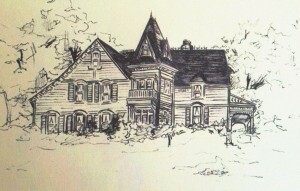 & Zelda Fitzgerald Museum in Montgomery Alabama. 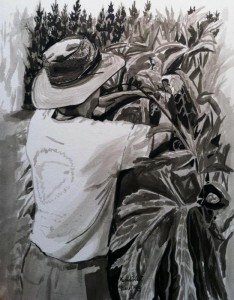 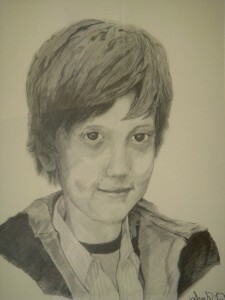 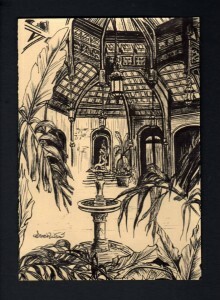 Since 2010, she has produced a number of pen and ink illustrations for the museum’s annual Gala. 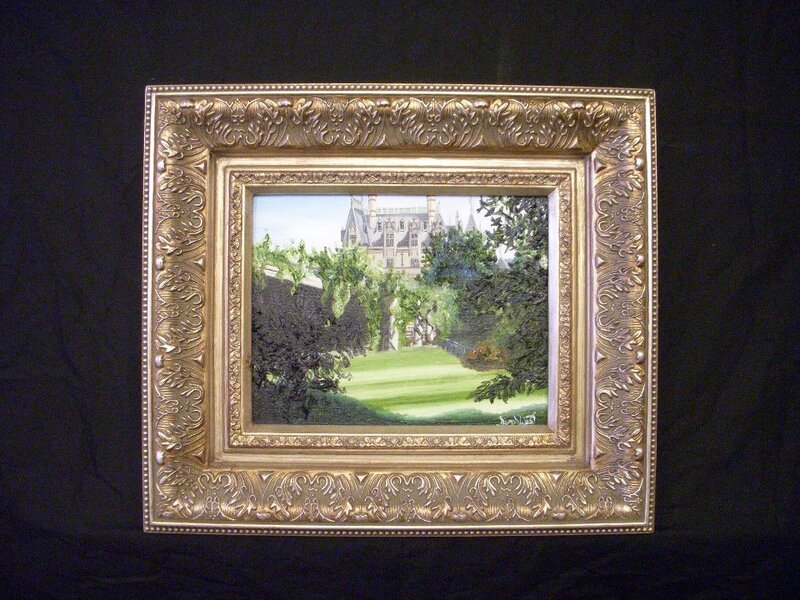 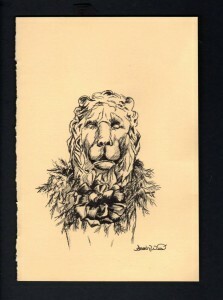 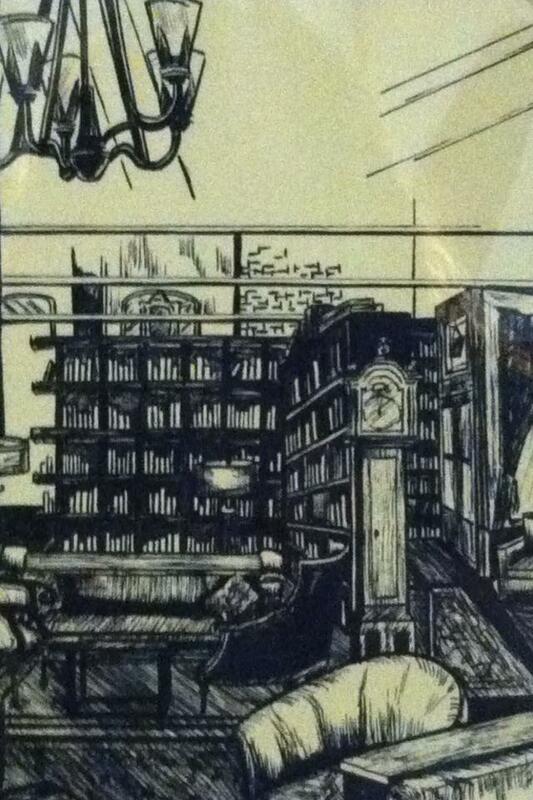 Each pen illustration created honoring the museum has been acquired by a private collector. Proceeds support the museum. 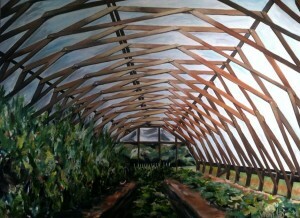 On behalf of the Sarah West Gallery of Fine Art, Sarah began community outreach involvements which continues to present. 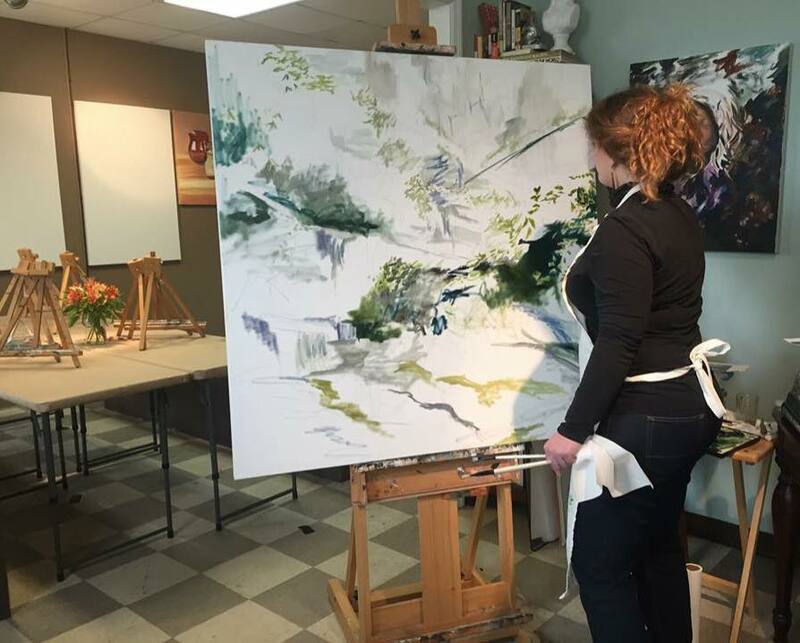 She advocates for the arts through public speaking in area schools, and through varying private charitable organizations. 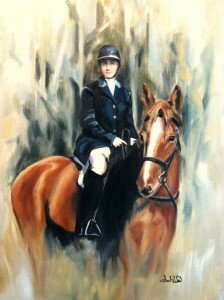 See Early Career listed below for more info. In 2009, Sarah began developing the Sarah West Artistic Mentoring Program, a Fine Arts Program for Continued Arts Education. 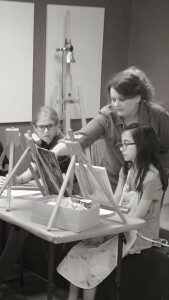 This program now offers over 80 fine arts classes, courses and workshops for Continued Fine Arts Education. 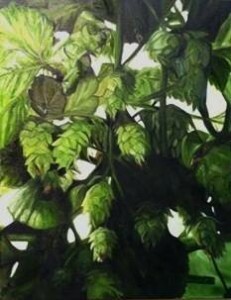 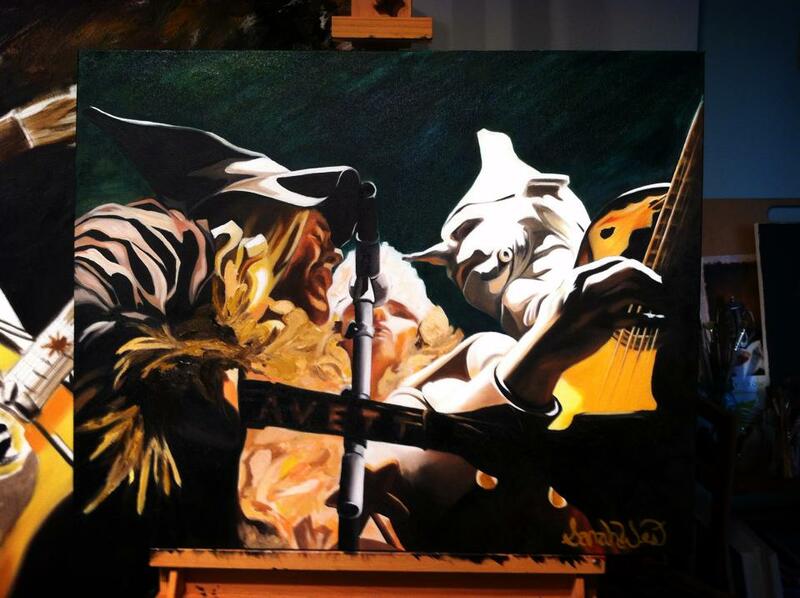 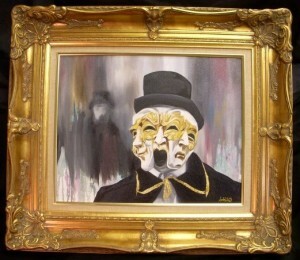 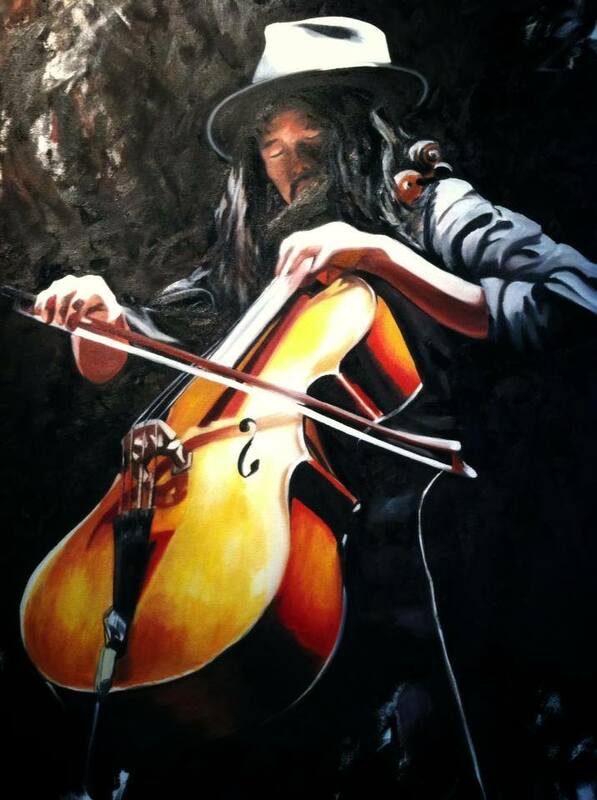 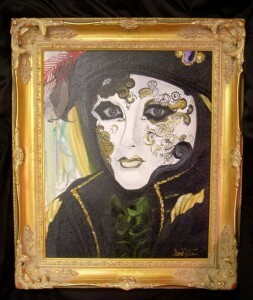 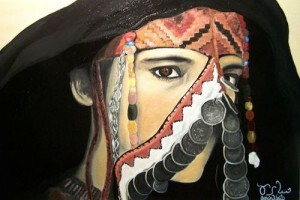 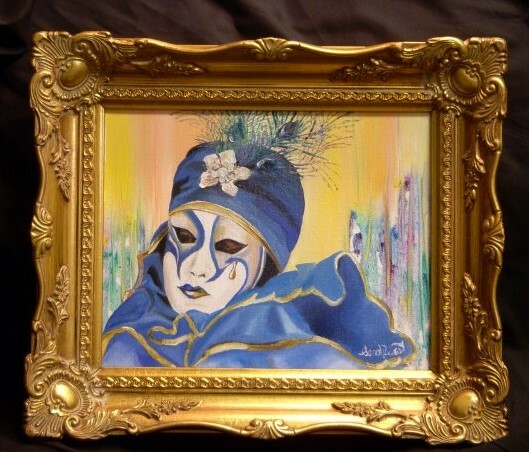 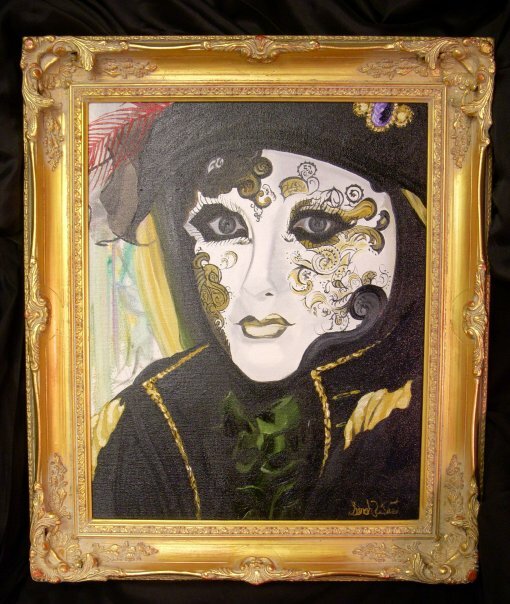 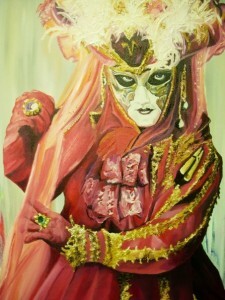 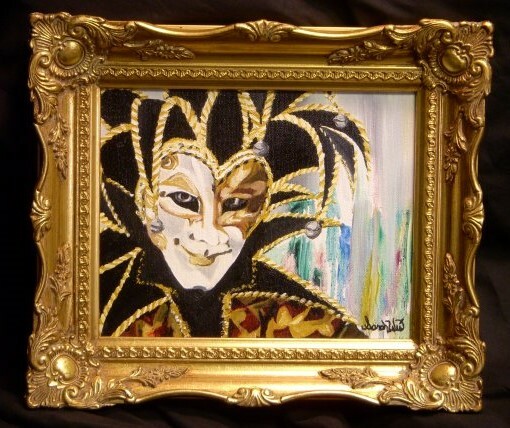 Sarah debuted her series of “Masquarade” paintings in October 2008 at the Springer Opera House- No Shame Theatre. Sarah served as the Springer Opera House- curator of art for No Shame Theatre’s first season. As early as 2001, Sarah began her career development. At the age of 15, she established her first arts enterprise, acquired her business licenses and began marketing her works ranging from handmade jewelry to artistic home decor items. 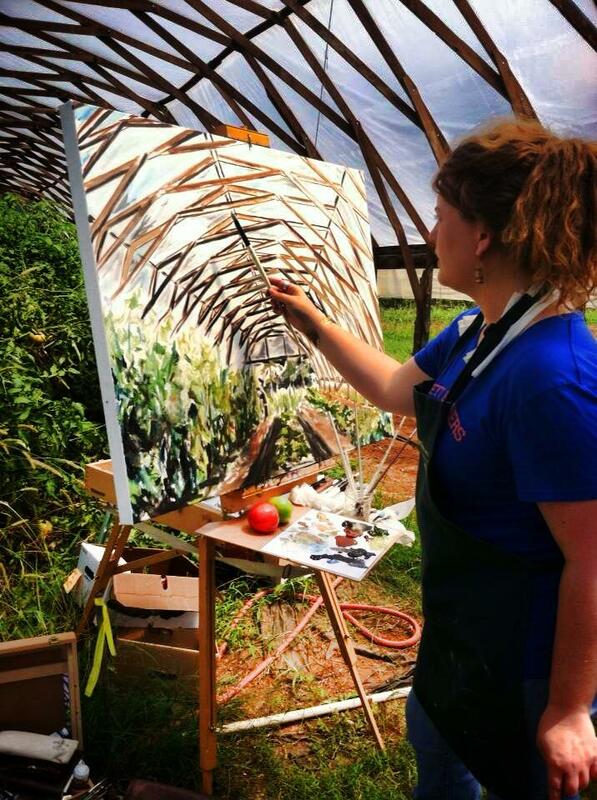 Her marketing experience was then centered around local and regional fine arts and craft festivals. 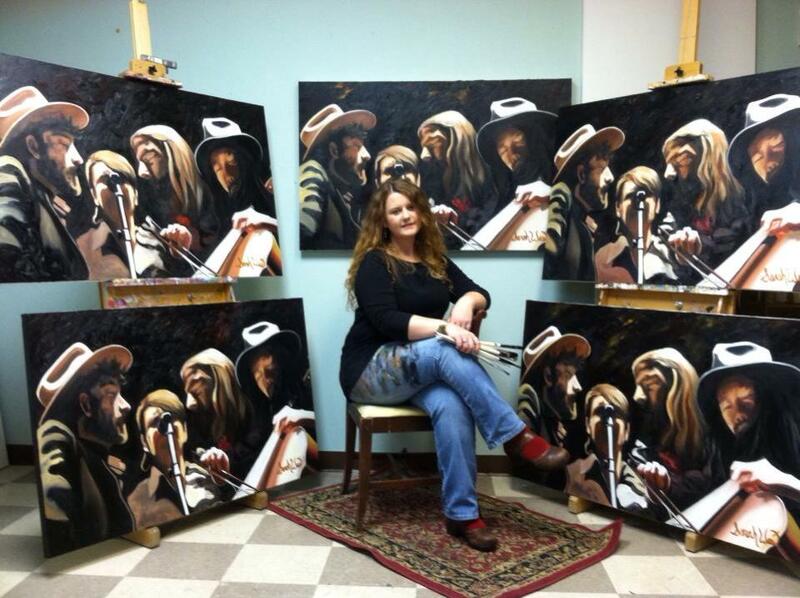 From various Market Days attended in 2002 to the Eufaula Pilgimage Festival of the Same year, Sarah went on to become an award winning artist at the Stewart County Historic Society arts festival (Fair on the Square) 2002, 2003, and later 2005- 2009. 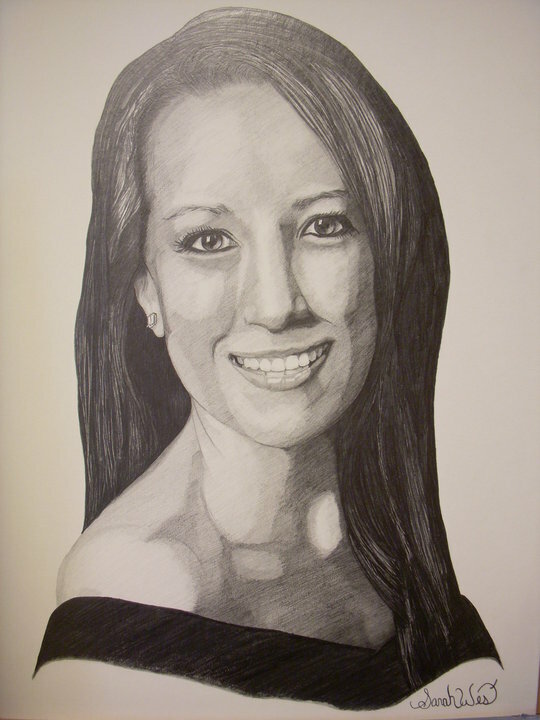 Between 2002 and 2009, Sarah contributed her artistry to supporting a number of charitable and cultural causes. 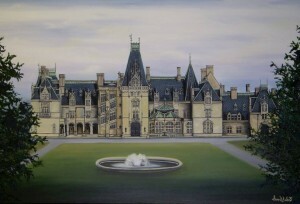 These contributions include but are not limited to: Historic Columbus, the Stewart Country Historic Society, Westville, The Boys & Girls Clubs of West Georgia, the Columbus Artists Guild, the Phenix Art Council, the Springer Opera House- dept of costume design (for productions: Sound of Music, Guys & Dolls, Christmas Carol, A Closer Walk with Patsy Cline, A Tuna Christmas, the King and I, Best Little Whorehouse in Texas and many more…) In 2004, her career shifted exclusively to fine arts. 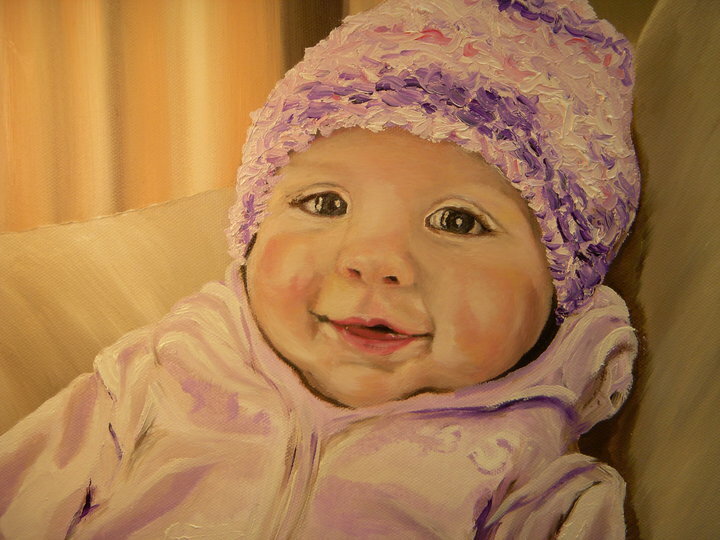 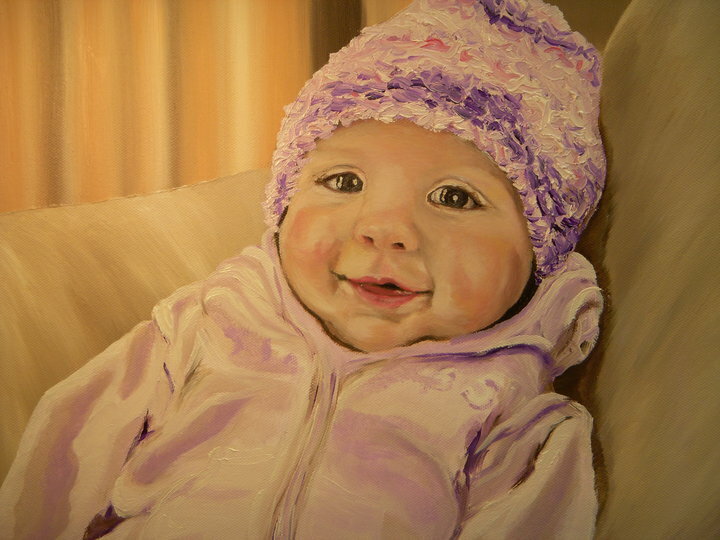 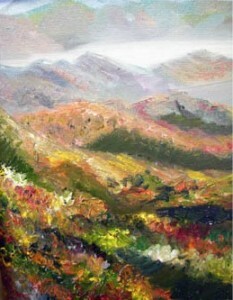 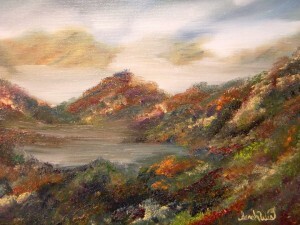 She became a Fine Arts Student, where she studied drawing and painting with focus on Realism at Lucas Studios in 2004. 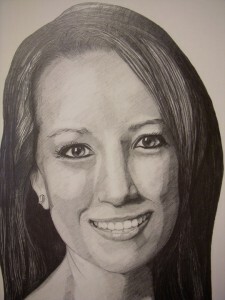 She became a student staff artist in 2005. 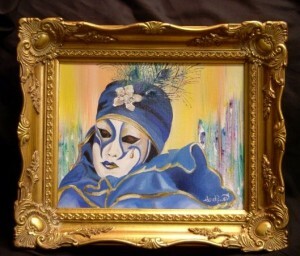 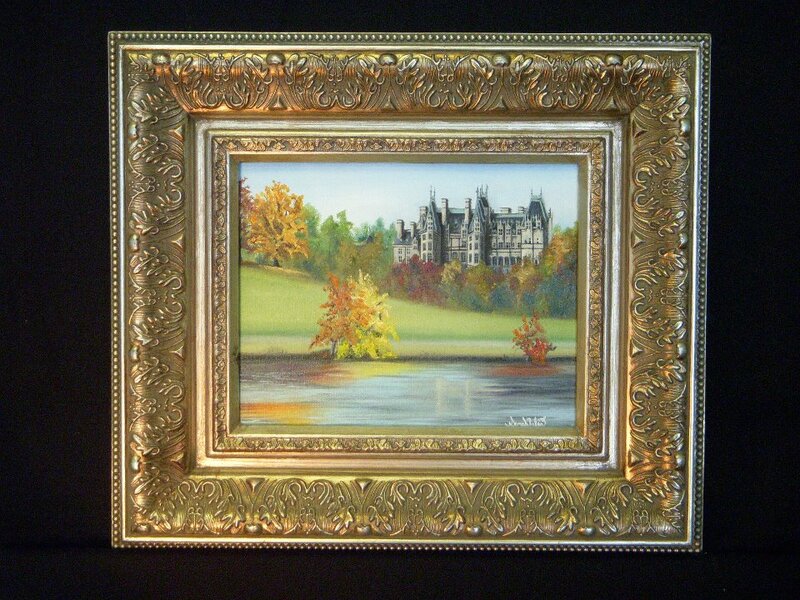 She began exhibiting her art in collective art shows and festivals: including the First Friday Art Walks (2005-2007,) RiverFest (2005-2006,) Arts in the Park (2005-2010) Columbus, Ga. 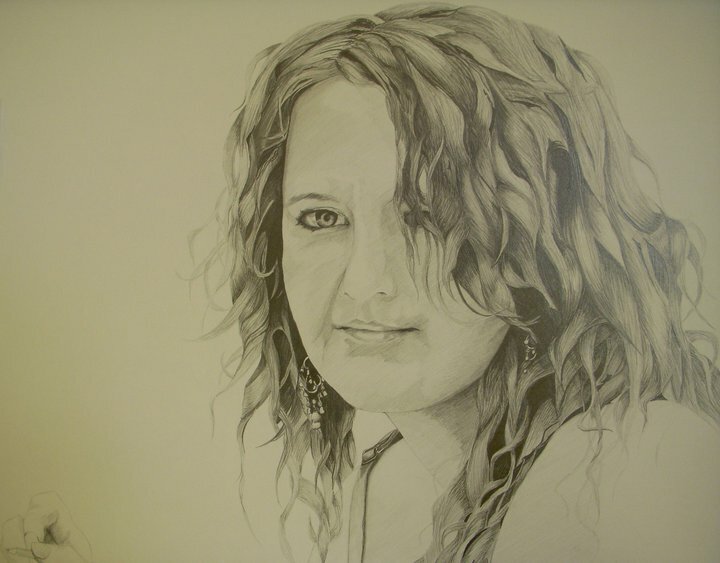 In 2006, she was a founding member of Peachtree Art Studios (located opposite the Bradley Theatre in Columbus, Ga.) There along with fellow artist, Michele West and others, she occupied a resident studio, explored further development of her artistry and collaborated with fellow artists to host a variety of events including: Drawing Nights, Art Walks, etc.. As an art student (2004-2007) she began making frequent trips into the high country of Appalachia. Sarah now spends most weekends, year round in North Carolina, where she hikes, paints and writes. 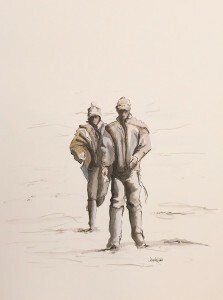 These trips continue to form a bond between the artist and the wilderness. 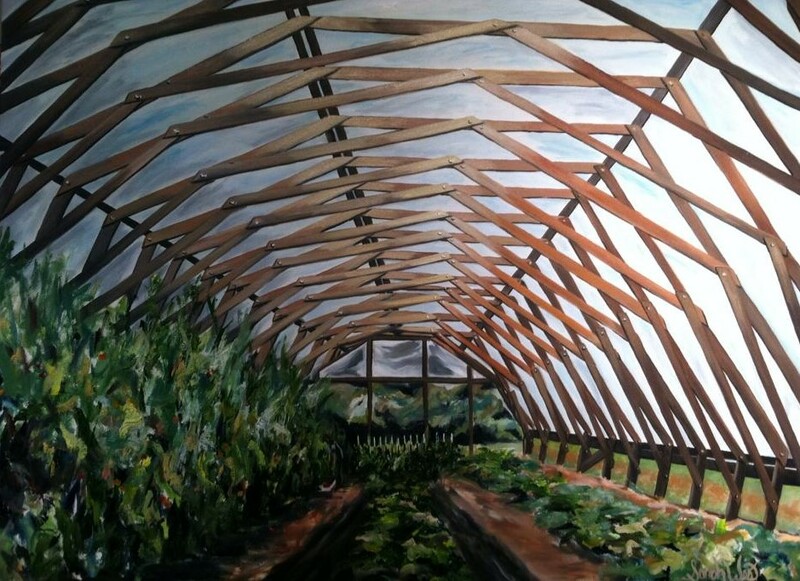 North Carolina would become a constant source of solace and strength to the artist, and later the region, it’s history and geography would become a muse for her work in the decades to follow. 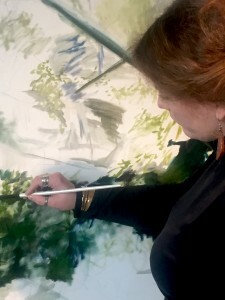 From the mountains of East Tennessee to Western North Carolina, atmospheric changes in the wilderness paired with early american history, the cradle of forestry, nature conservation and in contrast industrial innovation continue to influence Sarah’s artistic development.